Remembering Your Story invites readers to connect their faith stories with others and with God's story as revealed in scripture. Morgan guides readers to deeper memories of God's presence in all portions of their lives. Individuals and small groups will find this book offers them blessings as they discover God's working throughout their journey. 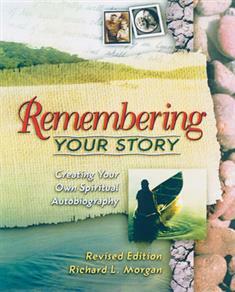 This revised edition of Morgan's work reflects his workshops, seminars, and conversations concerning spiritual autobiography. It also more intentionally focuses on faith stories. Morgan includes a chapter titled "Across the Generations," which connects older and younger generations and encourages intergenerational ministries in the church.